The other day, I was browsing some posts on Tumblr where one of the blogs I follow had posted reviews for some recent comics. They gave some quick snippets at the bottom of their review regarding what they felt was good and what they felt was bad. In the Bad section, they mentioned that the issue wasn’t new-reader friendly. Why does that matter? I understand the reason for DC’s reboot. New readers are going to be less intimidated by #5 than #605. At the same time, tho, I sort of don’t understand. I originally started collecting comics in the mid-90s, back when there were 15 variant covers of every new #1. I started collecting after such great stories as Crisis On Infinite Earths and A Death In The Family had already been published. 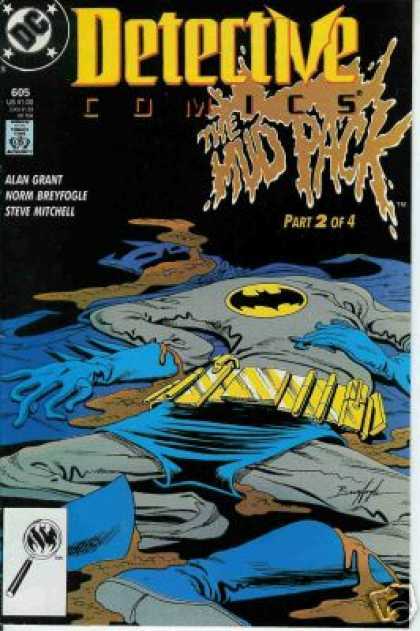 Once I started collecting Batman comics, I was curious about had transpired prior to the issue I was reading. Do you know what I did? I found a local comic book store and went thru their back issue bins. I saved the money from my summer job and bought the individual issues of A Death In The Family at $12 a pop. It took me much longer to collect all 12 of the Crisis series. But after visiting a few different comic book stores and being persistent, I finally got them all. Mission Accomplished. And now I understood the history of why a character might be a little different than what I had seen on TV or heard about prior to actually reading comics myself. Fast forward about 20 years later, and it’s much easier to catch up on a character’s history. 1st, you have the internet. You can easily go to any character’s wiki page and get a synopsis of previous events. You can buy trade paperbacks of stories for $9 or $14 without paying that price per issue. Or you could wait until ComiXology has a sale and buy them digitally. It’s so so much easier to get back issues now without needing to drive to different comic book stores and flea markets and sift thru back issue bins. Since a character’s history is so much more readily accessible now, why is there such a push to make every issue new-reader friendly?? Issue 15 should not be new-reader friendly. It should build upon issues 1-14, and you should feel compelled to read those previous 14 issues to get a full understanding of the story. I don’t remember what my first issue of Batman was, but I remember that I set goals for myself. I went back to issue #600 on Detective and issue #400 on Batman. I figured, that was a good stopping point for back issue collecting, since it wasn’t really feasible for me to go all the way back to issue #1. But none of that discourage me from reading the newer stories. It just made me hungry to learn the character’s history. I understand that comic book publishers, like any company, want new customers/readers, but if you snag them with issue 20, don’t you want them to have some questions so that they’ll be encouraged to purchase your first 19 issues?